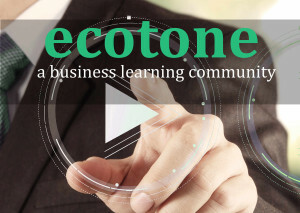 Go back to the Ecotone home page here. The event will not only present key ideas in the book but we want to go further and facilitate meaningful conversation relying on everyone’s local practitioner knowledge. 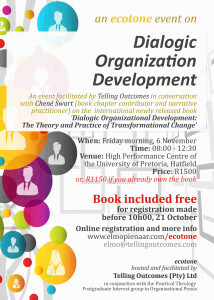 To this end chapter contributor and narrative practitioner, Chene Swart, will be joining us for the morning. The book is FREE for those who register before 10h00 on Wednesday,20 October 2015! You will receive an email notification after successful completion!